"Would being self-employed be right for me at this stage of my life?" "Would being self-employed be right for me at this stage of my life?" Now where’s my crystal ball? Every now and again, some employed people wonder whether they would better off being self employed. Every now and again, even people who have already been self-employed and have become employees again still wonder which is best. I’ve been self employed for 15 years. I don’t know whether to tweak my current offering, launch a new business or find a job. What do you think? Well, without knowing anything about what is important to her, how could I possibly answer that question? I couldn’t simply guess. That would be useless and unethical. So I explained how I work and that I would answer her question once and for all. She wanted to put a stop to that incessant wondering. She wanted to try my approach. I’m sensitive to people’s situations, but clear in my observations and I want the best for them. So I say what I see. No crystal balls were used in the making of my conclusions. It turned out that whilst being self employed had been the right choice in the past, it was no longer right for her at this stage in her life. Wow. After fifteen years, how does one walk away from familiarity and a strong identity and easily fit into an employed role? Luckily, she was open minded and listened when I gave her the questions I felt she needed to ask in interviews to make sure that the role and culture were right for her. We did some interview role play and bingo! She got the job! How can you personally keep updated as to whether the decisions you’ve made in the past about being employed or self employed are still valid today? Clients change, technology changes, your role changes, your manager changes, your personal circumstances change and you change too. It’s not guesswork. There is a science behind it. 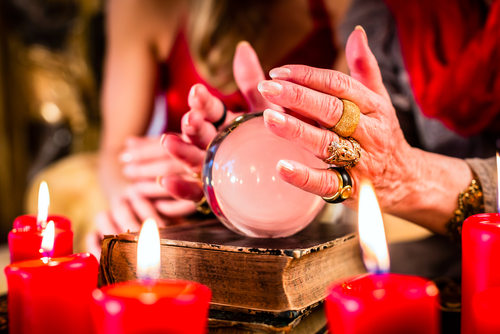 Are you ready to find out which option is right for you at this stage in your life without any crystal balls? Why be worried when you can be relaxed in your search? Why flounder when you can flourish? Let me guide you out of the maze of uncertainty! ‹ Previous post In six months time, what will you say about your professional situation? I definitely feel like I have had value for my investment. I went from feeling like a hamster in a wheel with too many options, too many ideas to a more focused clarity of where my next step may be. I have already recommended you to a friend.